FortuneX is an e-commerce solution and service provider to small and medium sized businesses worldwide. FortuneX market leading line of e-commerce solution provides organizations of all types the power to create e-commerce systems that leverage the capabilities of the Internet to grow their businesses. 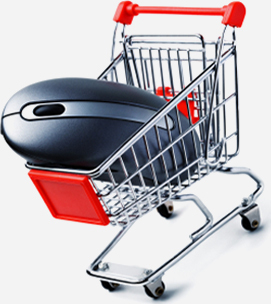 FortuneX products have been used to create highly functional, robust and customized e-commerce enabled web sites. Today, e-commerce has been taken to the next level, moving towards an e-commerce framework solution that not only remains easy to setup and maintain, but also making it easier for store administrators to present their stores to their customers with their own unique requirements. The success of e-commerce is secured by a great and active community where members help one another out and participate in development issues reflecting upon the current state of the project. Our mission is to deliver the very highest quality, most effective and affordable e-commerce solution and service solutions. FortuneX is committed to offering its customers the very best in technology and e-business capabilities, enabling our business customers to excel and succeed in their online business ventures.